This is an innovative programme based in expanding fields, bringing together international business and finance, taught within the Henley Business School and drawing in particular from international business and finance specialisms. It is a unique undergraduate degree in the UK with a thorough and balanced curriculum with regard to both disciplines. The study of international business and finance progresses through the programme so that you obtain a critical grasp of core theory along with thorough knowledge of application and analysis. The BSc in International Business & Finance is a multidisciplinary undergraduate degree that provides an in-depth understanding of the interrelationships between the areas of finance and the global economy. One of the hallmarks of globalisation is the growing significance of multinational firms that span multiple countries and industries, and the consequent need to manage business operations in this increasingly complex environment. This programme equips you with the knowledge to understand these changes and use this information to effectively progress your career. This programme examines issues from both a business and economic perspective. You will enhance your skills in communications, information handling, and analysis of context and cases in development. BSc International Business & Finance prepares you for a wide range of roles, primarily within banking and financial organisations worldwide. The programme can also lead you to careers in the finance operations of large multinationals, especially in the financial services industry and the investment banking and securities markets. In 1947 the University of Reading purchased its main Whiteknights campus, the former country estate of the Marquis of Blandford. A peaceful 130 hectare country estate, with its conservation meadows, rare tree collection and large lake, is an exceptional place to study, live and work. It provides a natural habitat for many varieties of birds, animals, insects and plants. Several listed buildings are features of the campus. One of the most attractive is Foxhill House, built in 1869 by architect Alfred Waterhouse, designer of the Natural History Museum. Henley Business School's undergraduate, postgraduate taught masters, professional management and PhD programmes are delivered from our Whiteknights campus. Our building, opened in 2009, represents the largest single construction project in the University of Reading's history and provides a visually impressive hub at the heart of campus. Its designers, BDP, boast impressive credentials having previously master planned projects including a redevelopment of the Royal Albert Hall and the construction of the Channel Tunnel Terminal. The School houses lecture theatres and seminar rooms equipped with the latest technology, easily accessible academic and support staff, a popular cafe and visitor area and a dedicated Academic Resource Centre (ARC). The ARC is exclusively for the use of students in the School and provides an ideal place for private and group study and easy access to specialist online and offline resources and services. The adjacent ICMA Centre is home to our degree programmes in finance and provides three state-of-the-art dealing rooms featuring more than 100 terminals. We were the first business school in Europe to introduce dealing rooms and remain the only university with a facility on such a scale. At Reading we pride ourselves on being a residential university where the majority of undergraduates as well as many postgraduates live in halls of residence, which provide over 4,000 rooms. All halls are located on or within easy walking distance of campus and close to local bus routes and facilities. Each hall is a vibrant community offering you a safe and inclusive environment in which to study and relax. Halls vary in style and size so you can choose between a wide range of study, domestic and social facilities. Around 95% of those who apply for accommodation receive a place. If you are a new undergraduate student, Reading is your firm choice, and you apply for accommodation by 1 August, the University will guarantee to offer you a single study bedroom in halls. If Reading is your insurance choice we will usually be able to offer you accommodation, although this is not guaranteed. The term 'campus university' often conjures up an image of being based miles from anywhere, but the University's Whiteknights campus is located close to the centre of Reading, which is just an easy bus ride or short walk away. Reading is easily accessible for both UK and international students and has excellent rail and road links with direct routes to Heathrow and Gatwick airports. You couldn't be better situated when looking to return home, to visit friends around the UK or to explore the capital and surrounding region. Reading itself offers some of the best retail and entertainment experiences in the UK. The Oracle Centre, set by the river around a mile from campus, features shops, bars and restaurants and a large multiplex cinema, while the town's popular nightlife includes everything from global music to the theatre. Our local amenities include the concert hall, traditional and outdoor theatres and the Madejski Stadium, home to Reading Football Club and the London Irish rugby team. Reading also has a vibrant live music scene and hosts the world famous rock festival. With so much going on, you are guaranteed a great time. Please see our Undergraduate Experience' photo collection (Flickr). You can also engage with our students via our Facebook page. We offer a mix of 3 and 4-year degree programmes, with our 4-year programmes incorporating a one year paid work placement (or in some cases university study abroad) during your third year of study. During each year of your degree you will take modules amounting to 120 credits. Most modules equate to 20 credits or 200 hours of student effort - an average of 25 contact hours over a 10 week term. Teaching contact varies from module to module but most will also involve a high level of private study and reading to support your learning. The first year of your degree will consist of core modules designed to provide you with a broad and solid foundation in your chosen subject. Your second year will feature mainly core modules but may provide some optional modules. Your final years of study will feature a high proportion of optional modules, allowing you to tailor your degree towards your individual needs, strengths and interests. You will be taught through a mix of lectures, project workshops and interactive tutorials, giving you the opportunity to discuss, explore and apply the subject material in depth with your lecturers and fellow students. You'll be introduced to the latest thinking and research findings and be able to challenge some of those involved. Tackling real-world challenges will give you the opportunity to test, extend and refine your knowledge and skills. Programmes are assessed through written assignments, group presentations and formal examinations designed to test your knowledge and abilities and to develop transferable 'soft' skills, highly sought after by leading graduate employers. The University's exam period falls between April and June in the summer term whilst other forms of assessment take place throughout the academic year. Programmes at Henley Business School are built upon academic excellence, strong research and the practical application of business and professional ideas and concepts. We offer high-quality technical skills training as well as a deep understanding of the importance of personal development for leaders, a thread that runs through all of our degree programmes. We believe that effective leadership requires more than first-class business acumen or professional knowledge. It also requires a degree of self-awareness and sensitivity. Our approach is designed to nurture emotionally intelligent graduates who can be fully effective in their chosen careers. Work placement or internship opportunities will help you to apply and further develop your knowledge and skills in a working environment. Career guidance and support is embedded within all of our degree programmes. You will receive practical support ranging from CV and application advice to workshops and graduate careers fairs. In addition we welcome guest speakers from a wide range of organisations and sectors, who will offer you unique insights and important networking opportunities. Whilst our reach and scale are truly global, our attention to detail in every part of the Henley experience will always be personal to the needs of each and every student. Our students are highly self-motivated and determined individuals but university study can present additional pressures which we take seriously. To ensure you gain as much as you can from your time at university you will receive dedicated support throughout your studies, starting the moment you apply. Freshers' week at the start of term features a wide range of welcome events, designed to familiarise you with Reading and everything university life has to offer. Upon enrolment you will be assigned an academic tutor who will be there to offer you ongoing academic advice and support your personal and professional development. Our full-time programme team are always on hand to provide additional support. If you have already applied to study at Henley, make sure you sign up for a visit day to get a feel for what life would be like as an undergraduate student here. Competition for places on our undergraduate degree programmes is strong so we advise that you apply as early as possible. If you have any questions throughout your applicant journey please don’t hesitate to contact us. All applications, whether you are from the UK, EU or overseas, should be made through the Universities and Colleges Admissions Service (UCAS). Please apply online using the University of Reading’s UCAS code, READG R12. You should aim to submit your completed application between 1 September and the middle of January for admission in October of that year. We don’t normally interview individual applicants, so please ensure that your UCAS application features appropriate information highlighting your academic and extracurricular achievements. A strong personal statement is also essential. This should demonstrate an informed interest in the degree programme you have applied for, explain why you have chosen a particular programme, provide examples of your past achievements and reflect on how you will use and further develop your knowledge and skills throughout your time at university. Applicants for BA Accounting and Business, please note that in addition to meeting the School’s standard entry requirements you will be required to complete a supplementary application form and may be invited to attend an assessment centre, run in conjunction with PwC. Henley Business School is home to a diverse and inclusive international community and last year the University of Reading welcomed over 4,000 overseas students from 125 countries, building on its history of providing international education which dates back over 100 years. The University’s International Office provides support and advice to students including pre-departure briefings, an airport ‘meet and greet’ service, welcome events and an orientation programme, and specialist advice on matters ranging from student finance to accommodation. If you have any programme questions, please contact us by email at UG-BMAP@henley.ac.uk or by phone on +44 (0)118 378 5058. A Level: AAB-ABB from three A Levels, including A-Level or AS Level Maths at a minimum Grade B. Year one of this course is made up of the following modules. Year two of this course is made up of the following modules. Year three of this course is made up of the following modules. Remaining credits will be made up of optional modules available in the Henley Business School and modules from elsewhere in the University. Not all optional modules will be available in any one year; all optional modules are subject to availability and resourcing. Our full-time undergraduate Home/EU course fees are currently £9,250 per year for students starting their course in the 2018/19 academic year. Tuition fees for 2019/20 entry have not yet been confirmed by the UK government, but at this time we do not expect an increase in fees to occur. Please check back here for updates. Currently, students from the UK and the rest of the EU pay the same fees. Arrangements for students applying for entry from 2019 onwards may be subject to change on the advice of the UK government. Fees for students from outside the EU are slightly higher and set by the University on an annual basis. Please see the University's student finance pages for further information. Students completing a 4 year degree programme with a 1 year work placement will be charged 15% of the full fee during their placement year. For students taking BA Accounting and Business, which contains placements in years 2, 3 and 4, the fee level will be set at 80% of the full fee in these years. Please note that tuition fees do not include accommodation and other living costs. Students are advised to budget for between £160 and £240 per week depending on their accommodation charges. International students, who often need to allow for additional accommodation and living costs during three vacations are advised to budget for at least £12,000 per year excluding tuition fees. We believe that fees must not be a disincentive for talented young people applying to university and have a strong record in providing financial support to students from all over the world and a wide range of backgrounds through scholarships, bursaries and other awards. Please see further information on student finance or contact helpdesk@reading.ac.uk. This information applies to students who normally live in England. Please see further information provided by the UK government on student finance. If you normally live in another UK region or outside the UK, different rules will usually apply. Please see alternative information for students from Scotland, Wales, Northern Ireland, the EU and overseas. Students who have not studied a higher education programme before can apply for a tuition fee loan to cover the full cost of their tuition fees. This loan is paid directly to the University. Graduates only start to pay back this loan once they are working and their salary is above the minimum threshold. EU students from outside the UK who meet certain conditions are also eligible to apply. Students can apply for an annual maintenance loan. Loans will be assessed on household income. The amount of maintenance loan available is reduced if a student is receiving a maintenance grant. Repayments will be made in the same way as for a tuition fee loan. Our undergraduate degree programmes are designed for students with or without prior knowledge and experience of their chosen subject. Generally we don't ask for any specific A Levels but subjects like business studies, economics, geography, IT and mathematics may be relevant depending on what you choose to study. Entry requirements vary depending on your chosen degree programme but generally you are expected to achieve grades AAA-AAB from 3 A Levels (excluding General Studies and Key Skills). A minimum of GCSE Mathematics and English, grade B or above, is also required. Applicants completing the International Baccalaureate must pass the Diploma and achieve 34-35 points. We welcome students with equivalent UK and international qualifications. Please see further information on academic qualifications. Applicants for BA International Management and Business Administration with French/Spanish are required to obtain a minimum GCSE grade B (or 6) or IB Standard Level grade 4 in a Modern Foreign Language. Applicants for BA International Management and Business Administration with German are required to obtain a minimum GCSE grade A (or 7) or AS level grade B or IB Standard Level grade 5 in German. BA International Management and Business Administration with Italian can be taken from beginner's level and no previous language qualifications are required. Applicants for BSc Accounting and Finance are required to obtain A Level or AS level Mathematics at grade B or above. Please note that in addition to meeting the School's standard entry requirements, shortlisted students applying for BA Accounting and Business will be asked to submit a supplementary application form and may be invited to attend an assessment centre run in conjunction with PwC. Studying in a second language can be challenging. If your English language ability is below the minimum requirement, we may ask you to provide evidence of proficiency or to attend an English language course before you begin your studies so that you can participate fully in your degree programme. Please see further information on English language requirements. The University's International Study and Language Centre (ISLC) provides English for academic study in a variety of ways to support your progress and development. This includes pre-sessional and in-sessional support, as well as an International Foundation Programme for students who do not hold the normal entry requirements. Henley Business School has its own Careers Service that’s built around a very simple promise – engage, enable, empower. Engage – whilst you are at University you will have lots of competing priorities, studying yes, but also having fun, getting involved societies, charities and clubs, maybe earning your way through part-time work. With this in mind we design all our services in an engaging way, helping you to make the most of your time. Enable – being ready for work after you degree has many elements – understanding yourself, understanding the opportunities that are out there, and developing the skills you’ll need to secure your place and succeed when you start. We provide support and resources that will help you with every step, whatever career path you choose. Empower – the most important part of your career path is you, so all that we do is about helping you achieve what you want to. Only you can achieve it, and achieve it you will. The key ways you’ll interact with the careers team will be through activities that you choose to undertake – be they booking to talk to us face to face, attending our career events, or using our online tools – or indeed all three. All the undergraduate degrees have some kind of careers-related modules too, often related to taking work placements, so you’ll see some of the team in lectures too. For further information please contact Henley Careers by email at henleycareers@henley.ac.uk or by phone on 0118 378 5420.
Henley Business School is keen to attract students who are expected to achieve academic excellence in their A level results but may find it challenging, for whatever reason, to undertake a university degree. You must be a Home or EU student to apply for this award. You must be applying through UCAS as a new student, entering a full time Undergraduate programme led by the Henley Business School starting 2019 and have accepted the ‘University of Reading’ as your Firm Choice by 30th June 2019. You must be entering year 1 of study and be new to the Henley Business School, UoR. You should be able to demonstrate that the additional financial support would remove a barrier to further education. The scholarship is £9000 in total. It provides £5,000 in the first year and £2000 in year 2 and the final year. This money can be used towards local travel, books or accommodation. The money will be paid directly into your bank account. There are two scholarships available in 2019-20. Payment will only be activated once you have successfully enrolled onto your chosen degree. First, Second and Final year of Undergraduate study. Henley Business School are offering four bursaries of up to £15,000 each over three years for undergraduate programme students starting at Henley Business School in 2019. The bursaries are enabled by philanthropic support and by funds set aside by Henley Business School. The bursaries will be awarded to applicants who can demonstrate significant financial need and who will contribute to the diversity and experience of their programme. A consideration of the wider impact of your undergraduate degree on graduating will also be taken into account. The Henley Business School Disbursements Panel will review all bursary applications and you will be informed of their decision at the beginning of May 2019. Four bursaries of up to £15,000 over three years are available for Henley Business School undergraduate students commencing their course in September 2019. 'I decided that a degree in accounting and management would give me a wider perspective of businesses in general and allow me to study areas outside accounting. If you're a numbers person, I'd recommend doing an accounting and finance degree rather than accounting and management. If you're unsure whether accounting is right for you, then the accounting and management degree course gives you a wide insight into the multiple business areas such as economics, ethics, strategy and management. 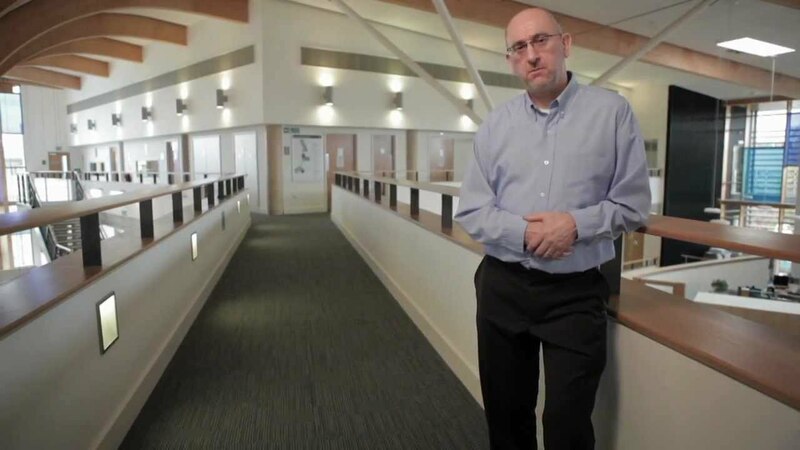 'Henley Business School has always held an attractive position in the league tables and with a beautiful new building; I viewed the School as one I would be proud to say I studied at. The green, open, friendly campuses of the University were further attractive features as well as the variety of modules offered on my degree. The programme was extremely diverse with students from around the globe. I was able to work with students from multiple cultures, preparing me for international employment. The programme also includes a placement year which is highly beneficial. 'Henley was known to me as a leading school teaching business and the fact it was part of the University of Reading attracted me. The best part of the programme was the opportunity to practically apply things. I learned something new every day and the lecturers were fantastic. I would rate the academic and career support offered very highly. 'The University of Reading has provided me with a stepping stone to future career success. The programme has a highly international focus with opportunities arising to work with market leading organisations. Work experience, alongside the degree programme, provided the valuable skills and competencies necessary to obtain a graduate position with the fixed and mobile network provider Ericsson. 'I was attracted to the Business School by its strong reputation and the programme in particular as it offered a wide range of options during the second and third years of study. Not only was the standard of teaching high, the flexibility and support of me as an individual from the School also made it a great place to study. I also found the content and the structure of the tutorials really useful in reinforcing the lecture content and giving a deeper insight. 'From the moment I attended an Open Day at the University I knew that the three years I was due to spend studying at Reading would be an enjoyable time in my life. 'There is a real sense of belonging and the staff are enthusiastic, helpful and easy to get on with at a personal level. The extra-curricular opportunities at Reading are fantastic, with the Business Society especially providing a forum for both social and academic discussions amongst students. "Everyone is so willing to help, and there’s a real sense that they have all invested in your long-term future"